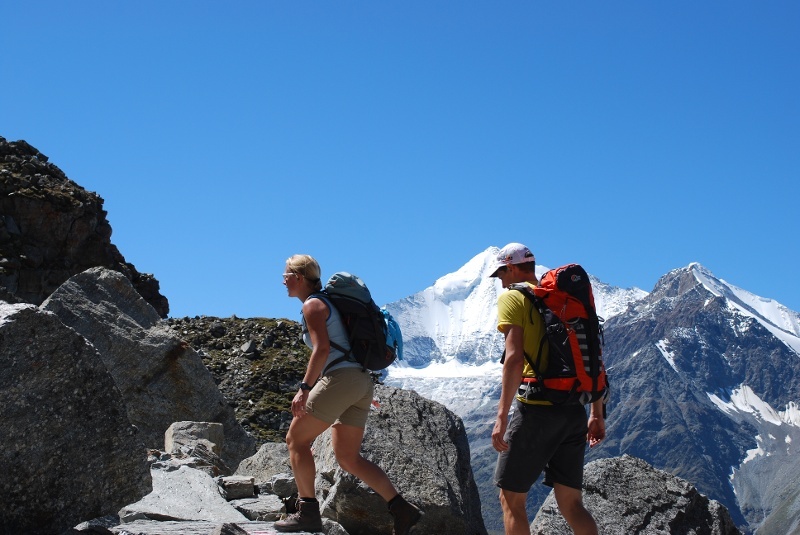 The Europaweg between Grächen and Zermatt is considered by many to be the most beautiful 2-day hike in the Alps. The views along this mountain panorama including the Matterhorn have made it famous around the world. 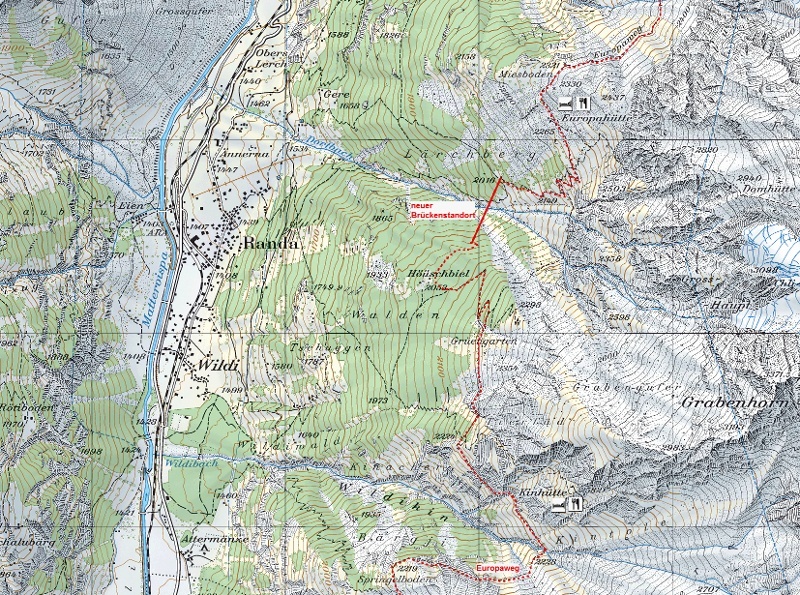 These breathtakingly stunning views of nature were used as orientation points by those responsible for mapping out the path in the villages of St. Niklaus, Grächen, Randa, Täsch and Zermatt to create the Europaweg in 1997. It goes from Grächen via Gasenried to Grat. From there, it continues southwards high above the Mattertal to the Europa Hut above Randa. 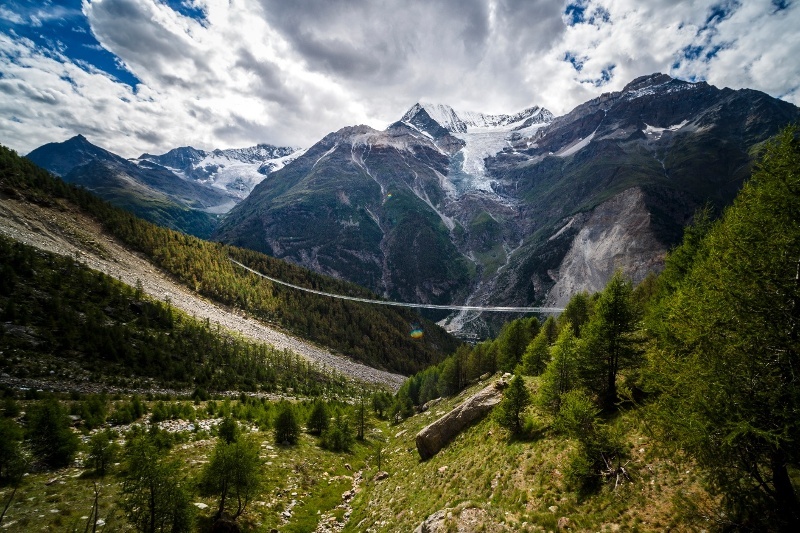 After a stay there, it goes over the world-record suspension bridge – the longest pedestrian suspension bridge in the world, which traverses the Grabengufer. The bridge is 494 m long and 85 m above the chasm below at its highest point. The path then continues in the direction of Täschalp and finally to Zermatt. Note: The crossing of the suspension bridge takes about 15 minutes. Please heed the safety instructions. North-south tour from Grächen: One sets off in the direction of the Matterhorn and sees the north wall of the Matterhorn as well as the Hörnligrat time and again. 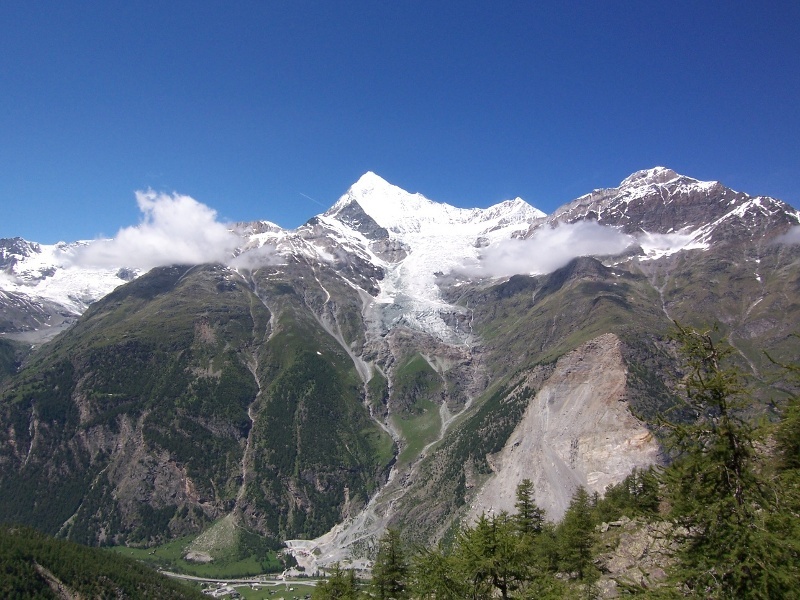 South-north tour from Zermatt: One walks in the direction of the Bernese Alps and has the Bietschhorn in plain view, among other peaks. Current note: The section of the Europaweg between Grächen and the Europa hut remains closed for this year due to the risk of rockfall. A reopening will be inspected next year. 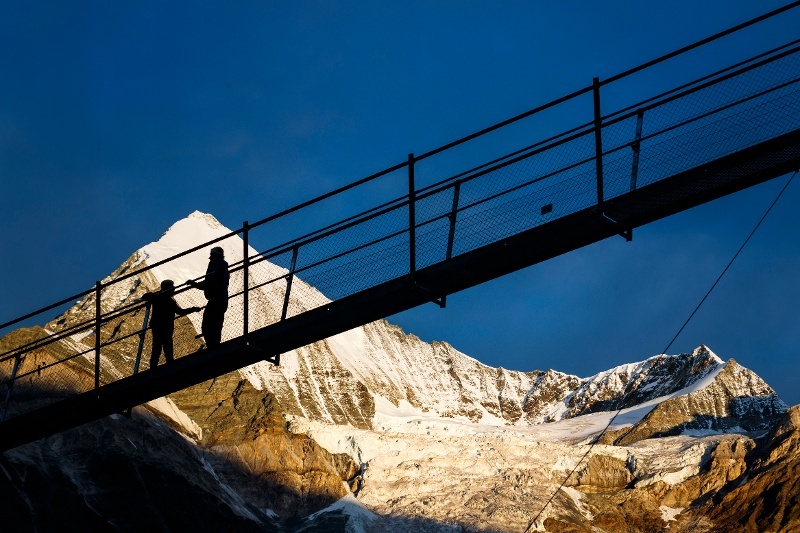 The section Randa - suspension bridge - Europa hut - Täschalpe - Sunnegga/Zermatt remains open. The pedestrian suspension bridge (Charles Kuonen Suspension Bridge) opened in the summer of 2017. 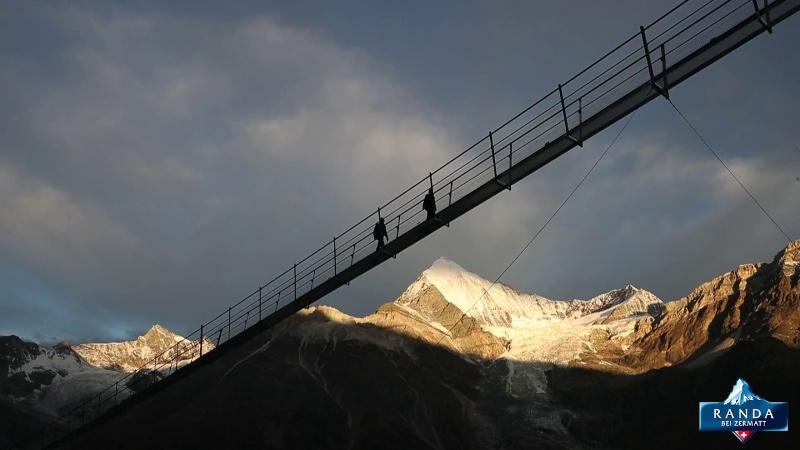 It is the longest pedestrian suspension bridge in the world (world record holder). Since there is a grated walkway underfoot along the half-kilometre suspension bridge, it is best if one is not afraid of heights (also applies to children and dogs). Possible trial tour to test for a fear of heights: at Furi above Zermatt. This suspension footbridge is 100 m long and 90 m above the Gorner Gorge.